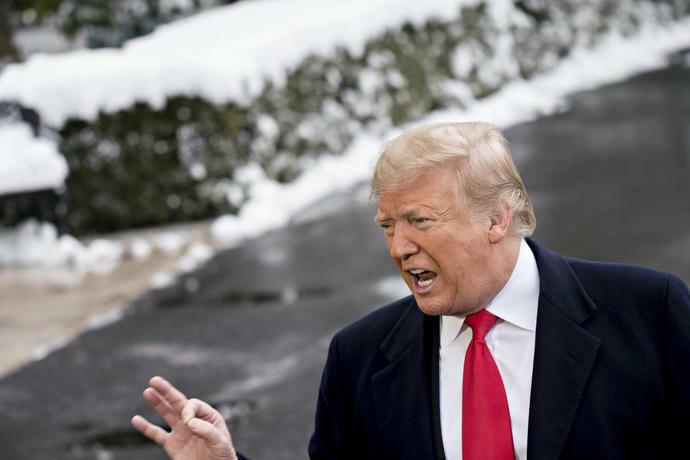 (Bloomberg) -- President Donald Trump is pulling out of a landmark 1987 arms control treaty meant to limit intermediate-range nuclear missiles in Europe, saying that the U.S. will no longer tolerate years of Russian violations. Trump said Friday that the U.S. was suspending its obligations under the Intermediate-Range Nuclear Forces Treaty, starting the clock for withdrawal six months from now, unless Russia "comes back into compliance by destroying all of its violating missiles, launchers, and associated equipment." The suspension represents another flashpoint in U.S.-Russia relations and another repudiation by Trump of international agreements, from the nuclear deal with Iran to the international climate-change accord. Friday's action had been all but guaranteed after Trump set a 60-day deadline two months ago for Russia to destroy all of its ground-launched cruise missiles, known as 9M729s. "The United States has fully adhered to the INF Treaty for more than 30 years, but we will not remain constrained by its terms while Russia misrepresents its actions," Trump said in a statement. "We cannot be the only country in the world unilaterally bound by this treaty, or any other." Russia has denied violating the INF treaty, accusing the U.S. of breaking its terms and warning that withdrawal from the Cold War-era accord signed by the Soviet Union would trigger a new arms race. That fear was echoed by analysts and Democratic lawmakers, who agreed that the Russian missiles pose a threat but said the administration appeared to have no strategy for how to constrain it. "Russia's brazen noncompliance with this treaty is deeply concerning, but discarding a key pillar of our nonproliferation security framework creates unacceptable risks," House Speaker Nancy Pelosi said in a statement. Senior Russian legislators vowed to respond after Trump made his announcement. "Of course, if the U.S. withdraws from the treaty, Russia won't continue to observe it unilaterally," said Frants Klintsevich, a member of the Defense Committee in the upper house of Russia's parliament. "The U.S. is pulling out in order to legitimize putting its missiles in Europe. Well, we have what we need to re-target, such as sea-based missiles," he said. The Russian Foreign Ministry was more circumspect in its reaction, with spokeswoman Maria Zakharova saying on state television that Moscow reserves the right to respond if the U.S. exits the treaty. The U.S. has no immediate plans to deploy new missiles to Europe when the withdrawal takes effect in August, according to two administration officials involved in the deliberations who briefed reporters on condition of anonymity. It would take considerable time to test, purchase and deploy such missiles, and the administration currently is only considering non-nuclear, conventional options, the officials said. Written notification to Russia and other Soviet-successor states will be delivered on Saturday, according to the administration officials, who said there's little optimism that Russia will destroy its missiles as demanded. While Europeans had hoped to preserve the treaty to stem proliferation of ground-launched, intermediate-range nuclear missiles, the Trump administration argued that Russia has been in violation for years anyway. White House National Security Adviser John Bolton has called the treaty outdated and one that doesn't address the rising threat from China, which isn't a signatory. "The onus is on Russia to change course from a pattern of destabilizing activity," Secretary of State Michael Pompeo said. "We'll continue to have conversations with them. We hope they'll come back into compliance." Trump indicated in October that he wanted to pull out, but after consulting with German Chancellor Angela Merkel and other allies decided to delay the suspension. Pompeo said in early December that the U.S. was giving Russia two more months to get back in compliance with the treaty. 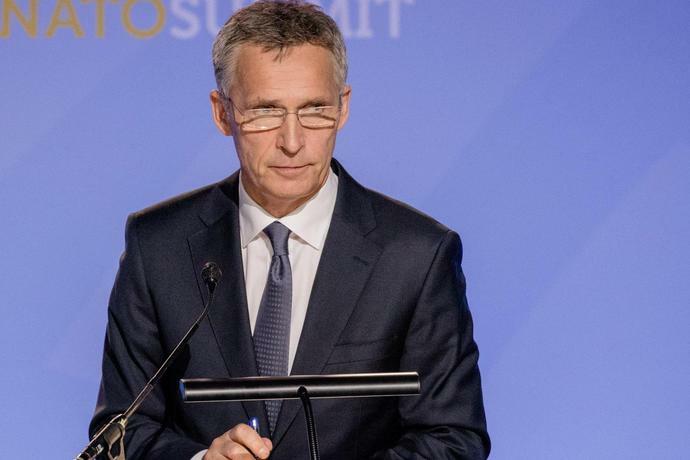 NATO Secretary General Jens Stoltenberg said in a tweet after the announcement that NATO fully supports the U.S. action. "Russia is in material breach of the #INFTreaty & must use next 6 months to return to full & verifiable compliance or bear sole responsibility for its demise," he said. But comments from some European nations suggest allies aren't fully in agreement with the decision. "Without the INF treaty, there will be less security," German Foreign Minister Heiko Maas told reporters on Friday in Bucharest. "But we have to take note that the INF treaty is being violated by the Russian side." The U.S. argues that Russia has jeopardized the INF treaty for years by deploying ground-launched missiles that fall within the banned range of 500 kilometers (311 miles) to 5,500 kilometers. "My strongest criticism is that the U.S. and NATO have absolutely no Plan B," said Daryl Kimball, executive director of the Arms Control Association in Washington. "The reality is that pulling out of the INF treaty in protest of Russia's violation isn't going to prevent Russia from deploying more of these missiles." --With assistance from Jonathan Stearns, Andra Timu and Stepan Kravchenko.